What child doesn’t like finding a surprise? 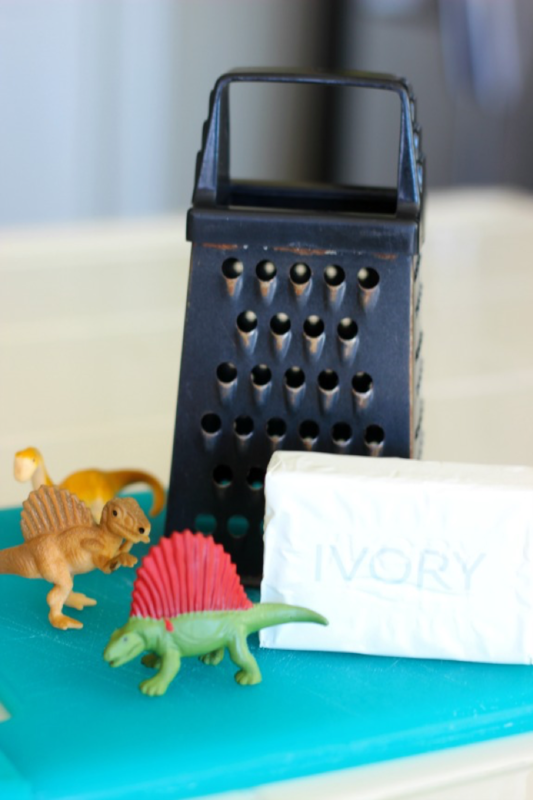 These dinosaur excavating projects are a fun hands-on activity for kids! We’re sharing two different excavating activities today. My kids have enjoyed ice excavating activities for years! We usually use a cake pan, fill it with tiny toys and water, then freeze. It’s a great activity to do on a hot day because the warm sun makes excavating the toys even easier. Here is a fun twist on that activity! Step 1: Stretch the opening of each balloon with your fingers. 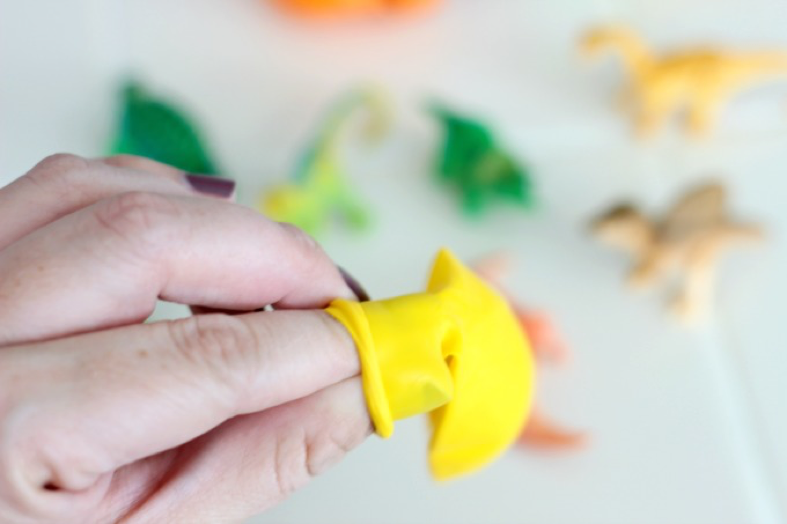 Squeeze in a mini dinosaur into the opening. Step 2: Continue until you have the desired amount of dinosaur eggs! 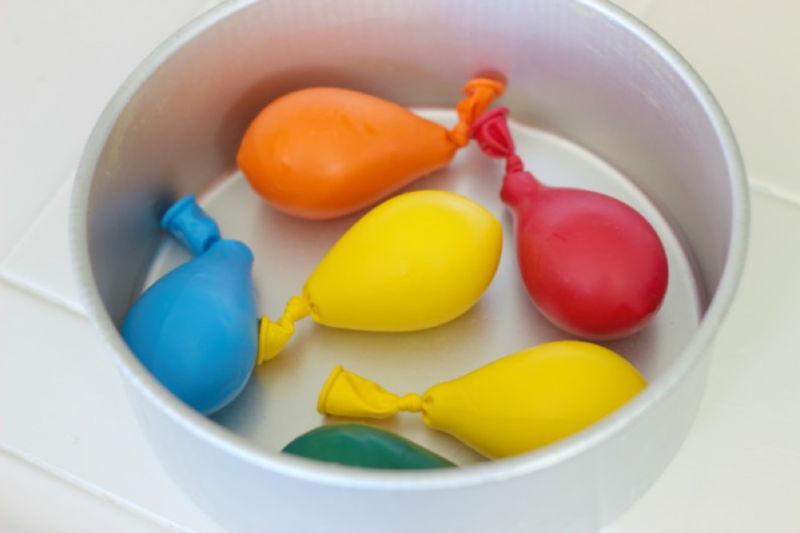 Step 3: Fill each balloon with water, tie off ends, and freeze until solid. 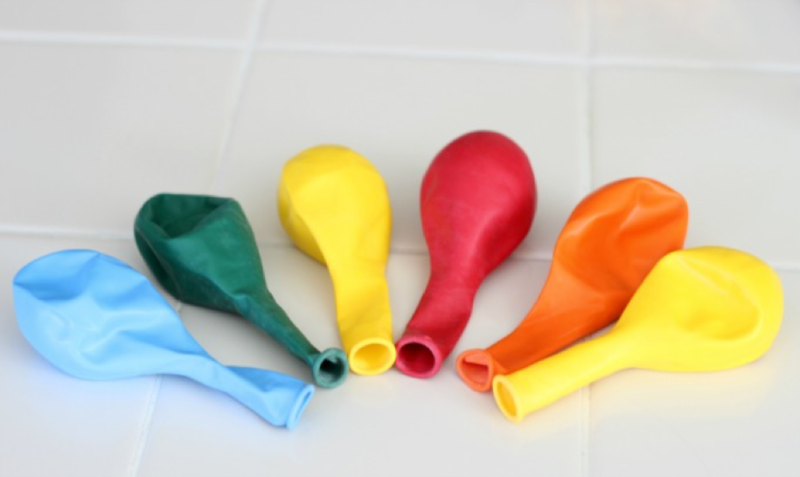 Step 4: To open, cut the end of each balloon off with scissors and peel off the balloon. 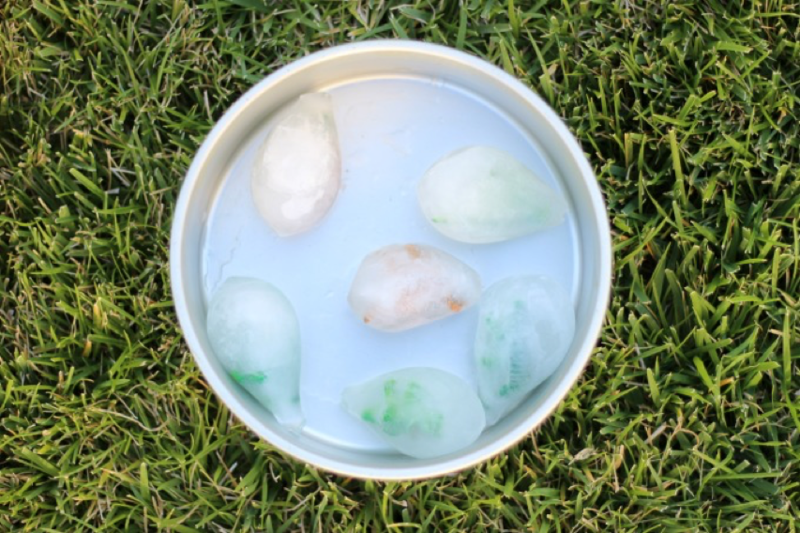 Now you have frozen dinosaur eggs! All ready to crack open. 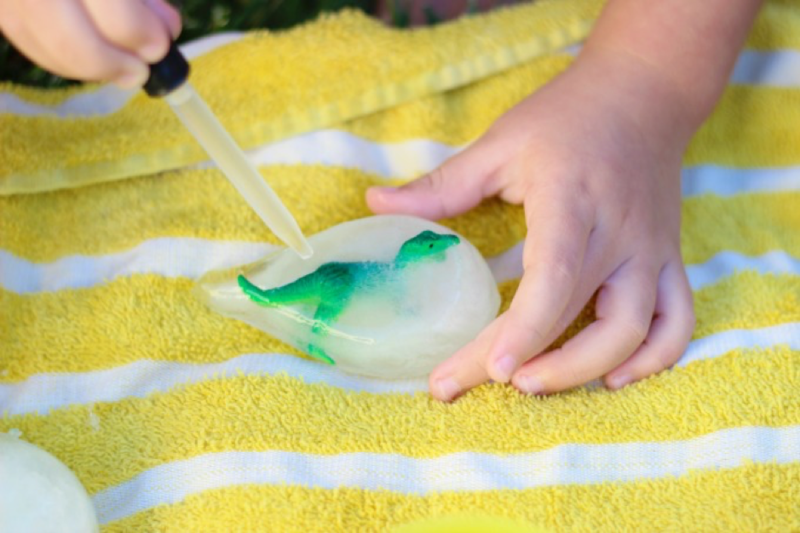 Step 5: Use an eye dropper and warm water to slowly melt the ice and release the mini dinosaur inside. Step 6: You can also use small tools (adult supervision required). A small flat head screwdriver and hammer work great. This excavating activity involves bath time! 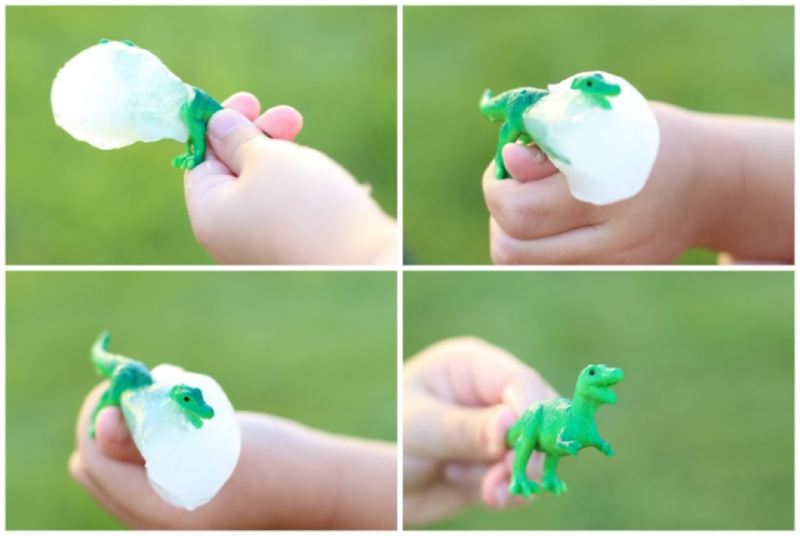 We created dinosaur eggs out of Ivory soap with a mini dinosaur surprise inside! 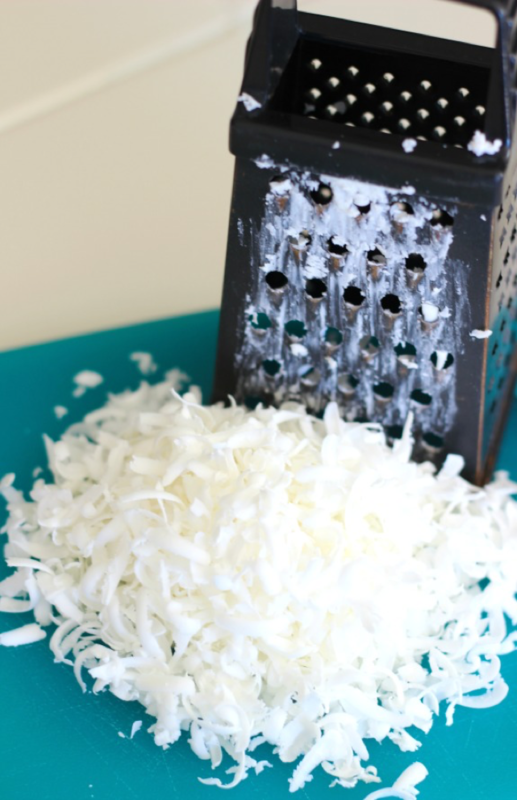 Grate one bar of Ivory soap into fine shreds. 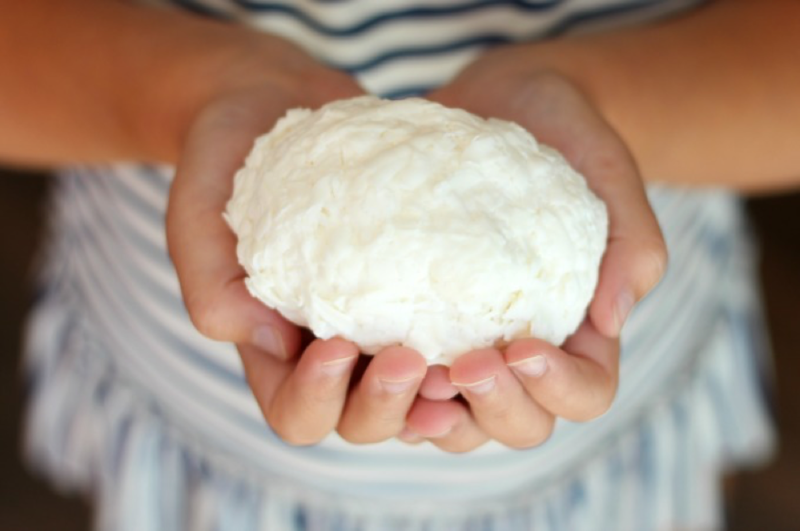 Step 1: Press a small handful of soap into your hand. 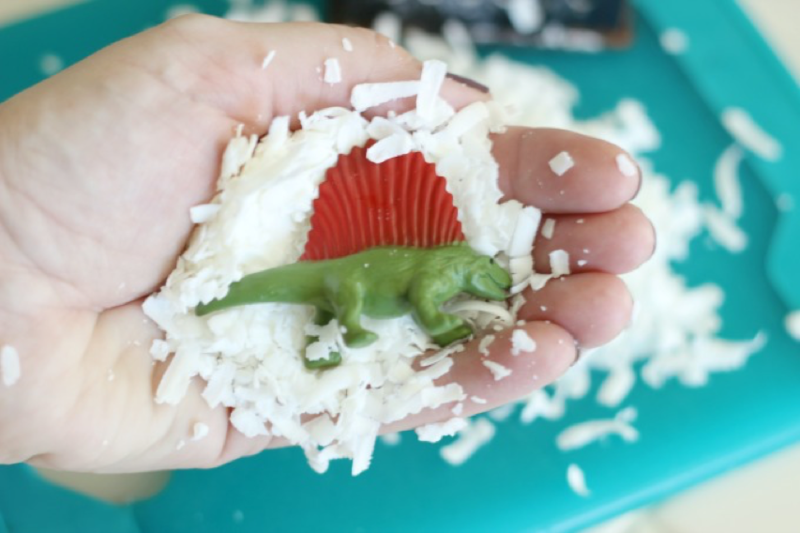 Place a mini dinosaur on top and use the remaining soap shreds to pack around dinosaur and form into an egg shape. 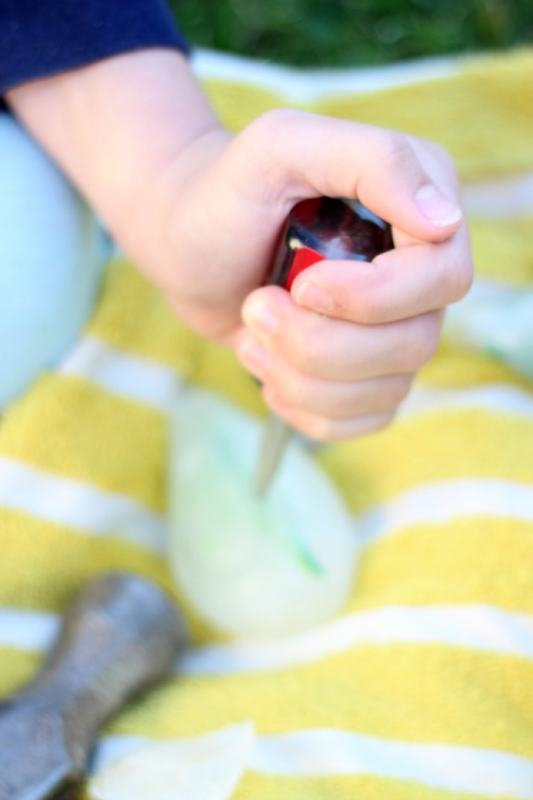 Use a tiny bit of water (a spray bottle works great) to smooth out and help pack soap. Step 2: Let dry and enjoy! 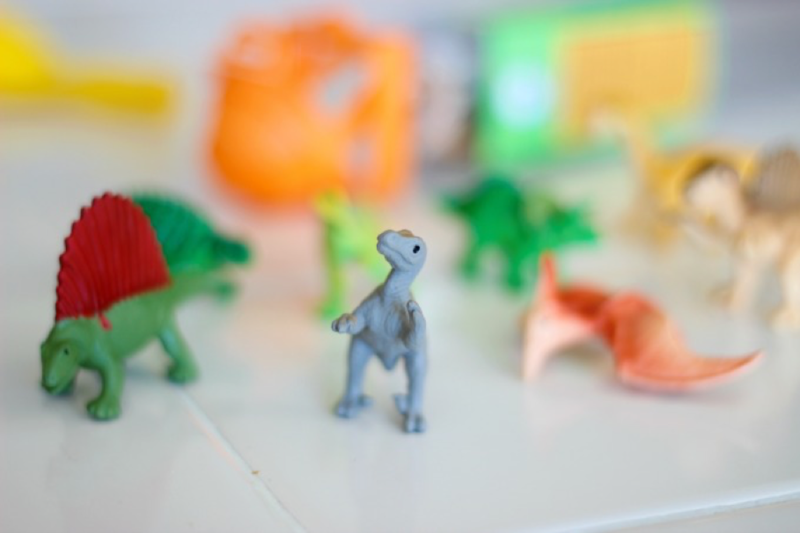 As the kids wash themselves during bath time, the tiny dinosaur inside will gradually emerge! Brandy is a California girl married to an Alaskan boy. They’ve lived all over the country, moving where the Coast Guard sends them, and are parents to 4 children. Brandy has been surrounded by creative influences her entire life. Her biggest mentors being her mother and grandmother. When she grew up and started to have a family of her own, her desire to create blossomed as she turned each new house into a home. 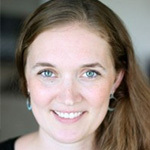 Her blog, gluesticksblog.com, is a collection of some of her favorite kids activities, projects, recipes and craft tutorials. Dyed Carnations Science Experiment for Kids! Using food coloring and water, change the color of white carnations! Have a zipper-lock bag and some pencils? Then you can wow your kids—and send them out to wow the neighborhood kids by making a leak-proof bag! 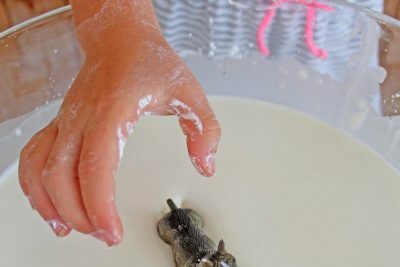 Kids can create their own quicksand for their toys at home using just two ingredients and a few supplies from around the house. Can I just order the 30 Days of Science?